Ponds are frequently used in several ways to satisfy more than one objective. For example, having water available in the pond for fire protection may satisfy one objective without interfering or conflicting with other objectives such as swimming or fishing. Multiple-use ponds are fine as long as the uses are compatible. When conflicting or incompatible uses are desired, it is necessary to assign priorities to the owner’s objectives. For example, the objective of providing for swimming may conflict directly with the objective of having water available for irrigation. Irrigation needs may lower the water level to a point where swimming is impossible, at a time when swimming is most wanted. For this reason, you should list and prioritize specific objectives for your pond. Assessing the pond resources is a critical component of setting objectives. 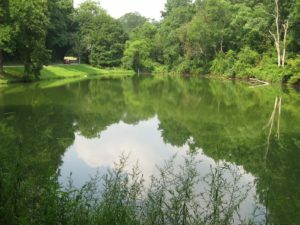 Through inspection and assessment of the pond structure, watershed, water sources, and ecology, you can ensure that the pond resources are adequate for your objectives. 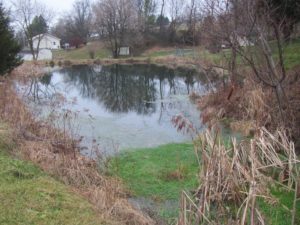 For more information about Ponds, contact Natural Resources Extension 320 Forest Resources Building, University Park, PA 16802. Phone: 814-863-0401. E-mail rnrext@psu.edu. Web http://rnrext.cas.psu.edu/.